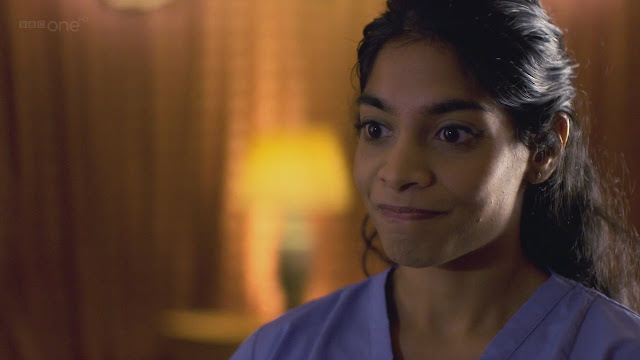 I've started re-watching some of the New Doctor Who series (the 9th, 10th and 11th Doctors) and man, how many of those one or two episode companions do you just wish would sick around on a full-time basis!? The New!Who run has had some questionable choices for companion, or perhaps some have been underdeveloped and overstayed their welcome. The 9th Doctor seemed to promote those worthy to companion during his run, so it looks like it's just 10 and 11 that have the diamonds in the rough. Under the cut I list some of my favourite one-off and recurring characters that could step into the role of full-time companion and give us all something awesome to remember. Spoilers up to and including the series 7. First, a special mention for the living embodiment of the TARDIS; Idris in Neil Gaiman's The Doctor's Wife. Having her and the Doctor speaking was a uniquely beautiful thing and while it might not work on a regular basis, it was a joy to have. I also think the TARDIS kind of counts as the ultimate companion with or without a body and a voice so I don't think she it entitled on this list. Yes, I know she’s dead but she was brave and brilliant and I think someone like her would make a fantastic companion. Give us a girl with a different culture and different belief’s, someone kind who can intellectually match the Doctor. I like her. 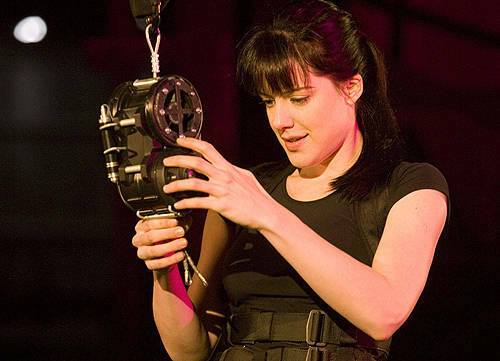 I’m sad that she didn’t survive and hop in the TARDIS with Rory and Amy. I’d love a story where one companion has to see the other go and realise this is how the Doctor travels. The Doctor and his daughter Jenny running around and seeing the stars; I can get behind that relationship! I want to see something more like family in Doctor Who in this run and I think Jenny is the perfect tool for that. Mind you, even though she’s out there exploring the stars, they would probably never bring her back now that Tennant has regenerated, but I say WHY NOT! What an awesome storyline that would be! The Doctor and Craig crack me up. I absolutely adore their relationship and I think for all his bumbling, Craig would make a terrific companion in the TARDIS. Imagine him trying to negotiate with alien races, helping the Doctor on the run from a hostile entity; it would be hilarious and heartfelt. I guess that’s why they brought him back for a second run with little Stormy (his son). Closing Time is how I wish Doctor Who was most of the time, even if Craig’s whole purpose is to show the Doctor stopping for a change. How fantastic was Mark Sheppard as Canton Delaware? I loved his style and his cool one-liners... “I like your wheels Doctor”. If there was going to be an American companion in the new series then Canton would have been awesome. A regal woman from the past, out of her time and incredibly intelligent... I could have rolled with that! That could have been fun, even if only for a short time. A lot of the companions in New!Who only stayed a season or two, he could have kept her for a short time surely? Yes? Please? 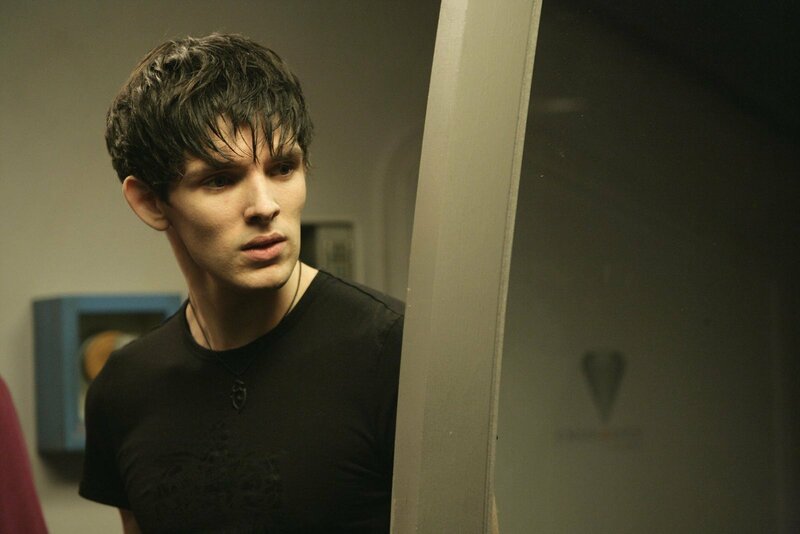 I might be mad but I think that the Doctor really took a shine to Jethro and I think they could have made a really interesting companionship... if it wasn’t for that single moment of betrayal where Jethro wasn’t his best self and helped the crew members stranded on Midnight to try to turf the Doctor. It’s a sad waste of a potentially great character. It’d be cool to see the Doctor take on someone with a more brooding disposition and see where travelling in the TARDIS takes that person. I am a really big fan of Soufflé Girl I have to say. I adored her smarts, her charisma and her wit and I cannot say that the true Clara Oswald has given me quite as much of a thrill. 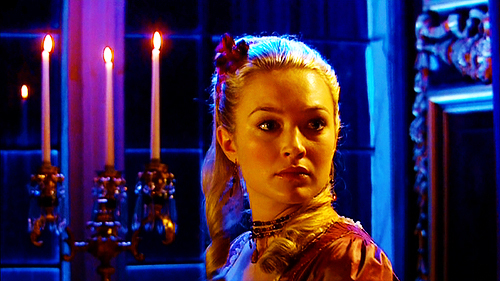 Having someone not of our century would be fantastic (as I mentioned with Madame de Pompadour) and given she’s from the 51st we could have had some really cool new technology and funny misinterpretations. I cannot express enough how amazing I think it would have been if the 11th Doctor had of just picked little Amelia up on time. Matt Smith’s chemistry with children is without question and she was truly fantastic; much better than her older incarnation. I want an awesome child in the TARDIS with this Doctor so badly. 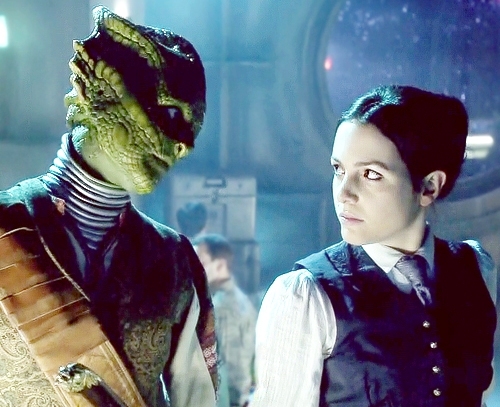 Does anyone else agree that Jenny and Vastra just kick all sorts of arse and that although they function perfectly well together in Victorian London, they could make excellent on board companions? Two girls again could be interesting. We’ve had a couple of male and female companion duo’s in New!Who; why not two ladies? 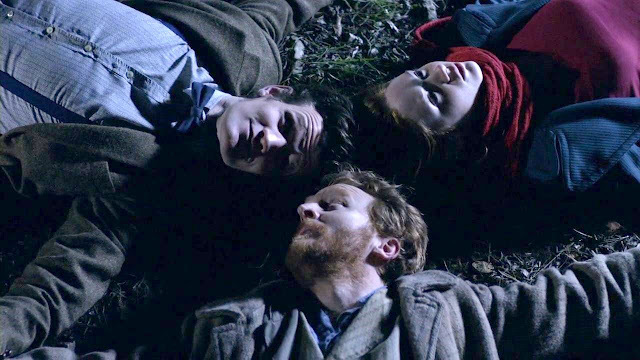 Who aren’t at all interested in the Doctor as a lover? 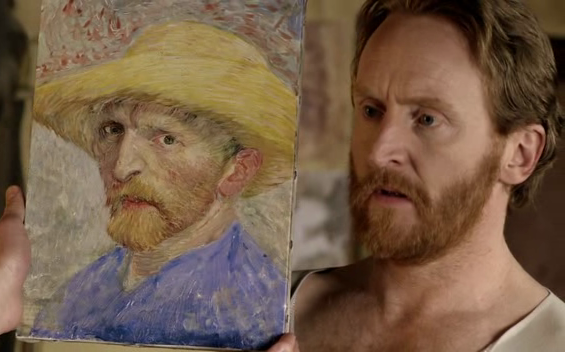 I know this couldn’t really happen but the episode Vincent and The Doctor saw Amy Pond and Vincent Van Gogh make such fantastic companions together for the Doctor. The relationships in that episode were between all three characters in an intimate way; striving to make each other better and to share the world they see. I think this is something that is missing from a lot of companion relationships in New!Who. 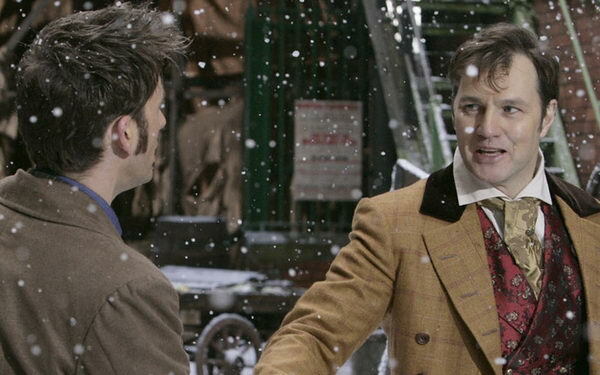 In the Next Doctor, David Morrissey plays Jackson Lake; a man brainwashed to believe he is the Doctor. He turns out not to be too bad of a companion either and given his familiarity with the Doctor’s plight he would have made a really interesting addition to the Doctor’s life. I guess the timing wasn’t right... although what a stunning Doctor David Morrissey would have made. An older woman and brilliant scientist, her moments in the TARDIS and underground were fantastic. She was just funny enough, just brilliant enough and her choice to stay and investigate the Sillurian’s was brave and telling of her character. I hope that the 11th Doctor goes back for her at some stage or any Doctor really, because she would be a lot of fun to watch every week. I seriously cannot work out why the Doctor never went back for Lady Christina de Souza. 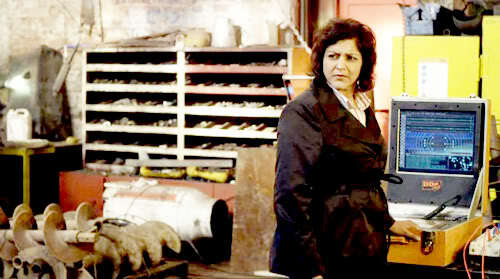 She was sassy, fun and resourceful and I really enjoyed her episode. I guess he was hurting and he thought she would be dangerous, but maybe we need a little danger in the TARDIS again? Maybe we need someone brilliant but also a little unhinged. The ‘good girl’ thing is getting a bit tired. The Doctor and his companion are supposed to make each other better; the newer companions spend most of their time looking doe-eyed and being perfect already. Tell me you weren’t cheering for this fantastic woman when she defied the Doctor and chose to end her own life for the safety of millions. Adelaide’s episode comes at the time when the 10th Doctor is on a huge God complex binge, thinking he can defy his fate and everyone else’s. I am craving an older companion who isn’t someone like River Song. Adelaide was brilliant and though her death was necessary for the story, she would have made a magnificent companion in the TARDIS. Now Carrie Mulligan is a big name actress but for me, her most memorable performance was in Blink as Sally Sparrow. 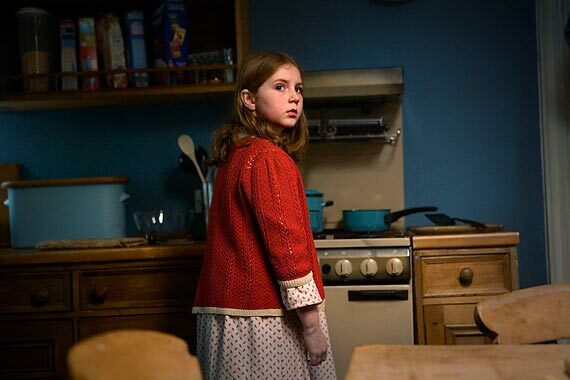 Sally is not only brave and inquisitive but smart and bold and fantastic and she drives a story in a Doctor-thin episode. She actually only meets the Doctor for mere seconds at a later time to give him a folder and fulfill her own timeline, but if we could have her full-time that would be something! I love a lot of the characters on this list, I find it a shame that The Doctor rarely revisits any of these people. 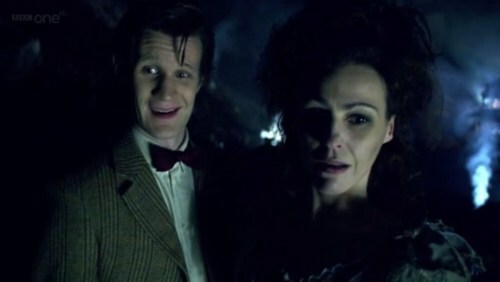 I'm glad Jenny and Vastra got bigger roles, why can't the Doctor have other friends he can drop in on from time to time? He doesn't have to make them companions per-se. What about Astrid from the Titanic episode? Or Tallulah and Laszlo from Daleks in Manhattan?? Sorry, I didn't really like Astrid from the Titanic episode. Dalek's in Manhattan also wasn't a favourite episode of mine, but I will say Laszlo was pretty great and might have made it onto my list. The thing is, a list like this is finite and there will always be people left off it. The great thing is how many great characters and would be companions there are in the show. It's packed! No Lynda with a Y? She was great! But she died yes?